Home / Holiday Cookie Exchange! 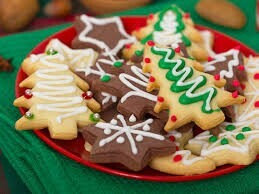 There will be a Holiday Cookie Exchange at the Summerfields Friendly Village Club House. Please join us for a Fun Filled Evening. Please contact either Jane at 856-728-7792 or Marlene at 856-516-4539. They will need your RSVP so they can let you know how many cookies you need to make. This will be held on Thursday 12/13/2018 beginning at 7:00 pm until whenever. This is a BYOB and BYOS (snacks) either for yourselves or to share with others.